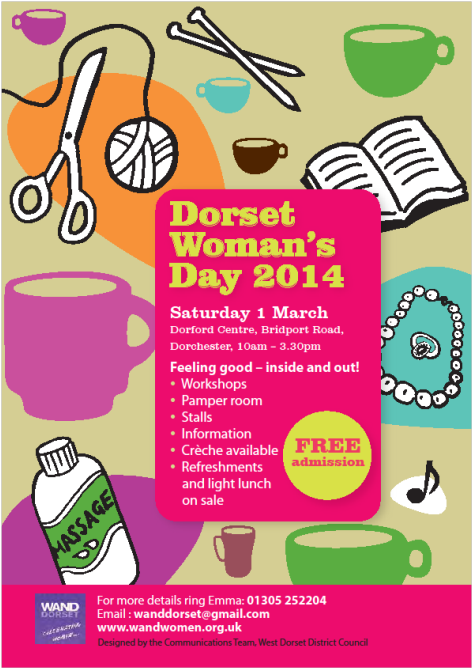 Dorset Women's Day programme now available! 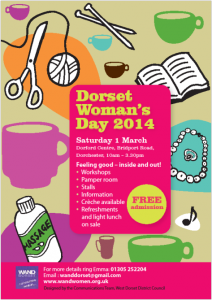 Dorset Women’s Day programme now available! Here is our exciting programme for Dorset Women’s Day on Saturday 1 March. Copies of the programme will be available in libraries and tourist information centres. If you can display our poster please print it out or let us know and we can let you have some. We hope you can come along. This entry was posted in Event on February 12, 2014 by mariac. So glad you had a great day, it’s brilliant to have such positive feedback. Hope to see you next year!